Finance & Administration » Financial Services » Controller » Independent Contractor Or Employee? The following information has been prepared to clarify existing RIT policies and procedures regarding payments to individuals for services. This information will also assist you in making a determination as to whether an individual is an independent contractor or an employee and whether the payment to that person should be made through Payroll (RIT employee) or Accounts Payable (independent contractor and/or temporary agency hired worker). If you have questions about information in the manual, you may obtain assistance from Accounting, Payroll or Human Resources. An independent contractor is an individual or non-corporate business entity who follows an independent trade and offers his/her services to the public. The general rule is that an individual is an independent contractor if (among other items) RIT has a right to control or direct only the result of the work, not the means and methods of accomplishing the result. Payments made to independent contractors are processed through Accounts Payable. Entities receiving $600 or more in gross income during a calendar year will receive a Form 1099-MISC to report the income on their tax returns. They are responsible for remitting their own (federal, self-employment, and/or state) income tax payments. A signed contract and a completed Form W-9* must be on file in Accounts Payable prior to remitting a payment to an independent contractor. In addition, a purchase order is required if the contract amount is $1,500 or more. See Processing Payments to Employees and Independent Contractors for additional information about how to process payments to independent contractors. See Independent Contractor Contract for a copy of an Independent Contractor Contract. An employee is an individual who performs services that are subject to the will and control of RIT, both what must be done and how it must be done. 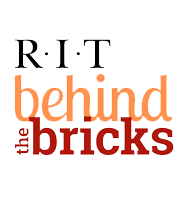 RIT may allow employee discretion and freedom of action but RIT maintains the legal right to control both the method and the result of the services. Payments to employees are processed through Payroll and applicable taxes are withheld at the time the payment is made. RIT remits the payments to federal and state governments. Several years ago, based upon the advice of legal counsel and review of the related tax law, RIT implemented a policy regarding current employees acting as independent contractors. The policy states that all services performed by an RIT employee acting as independent contractor will be considered "additional pay" and will be processed through the payroll system. The only exception that we will make to this practice is for an employee who has an established corporation through which he/she conducts his/her business as an independent contractor. The employee will be required to complete a Form W-9 (Request for taxpayer Identification Number & Certification) and RIT will maintain the form on file for audit purposes. Frequently, retirees and ex-employees are engaged to perform services for RIT. If a retiree or ex-employee is rehired in the same calendar year that he/she terminated his/her employment from RIT, the individual should rehired through a temporary agency. Under certain circumstances, it may be appropriate to hire a retiree or an ex-employee as a RIT temporary employee. Since reemployment may effect the benefits that an ex-employee or retiree is entitled to, please contact Human Resources for more information. If the retiree or ex-employee is engaged to perform services the year after (or beyond) the year that his/her employment was terminated from RIT, refer to Processing Payments to Employees and Independent Contractors for instructions about processing payments to employees and/or independent contractors. If accounts payable informs you that the individual should be hired as employee, not an independent contractor, then he/she should be hired as a temporary employee through a temporary agency. Please contact Human Resources for more information. Temporary employees are hired through Datrose Staffing Services. Please provide Datrose Staffing Services with your 24-digit account number, using object code 75150. You will receive a monthly summary of charges from Datrose Staffing Services. Do not process a payment to Datrose Staffing Services. RIT pays Datrose Staffing Services for all charges in one monthly payment. When processing payments to another temporary agency (other than Datrose Staffing Services), complete an invoice payment form, use object code 75150 in the account number, and send to Accounts Payable for processing. Process an EAF to hire the individual as a temporary employee. If the employee will be paid an hourly rate, use object code 71000 in the RIT 24-digit account number. The employee will be paid through the regular bi-weekly payroll. If the employee will be paid a specific amount during each payroll period, use object code 70850 in the RIT 24-digit account number. The employee will be paid through the regular semi-monthly payroll. Complete the Pre-Approval to Engage Independent Contractor Services Form, a completed W-9 form* and a New Supplier Setup Form to Accounts Payable. Accounts Payable will respond to your pre-approval request with in five business days. Once you receive approval from Accounts Payable, complete an Oracle purchase requisistion. Complete an Independent Contractor Contract. Contact Procurement for specific information regarding competitive bidding requirements for contracts of $5,000 or more. When the invoice is received from the independent contractor, forward to Accounts Payable for processing. Please indicate the purchase order number on the invoice. Do not complete an Invoice Payment Form. Complete the Independent Contractor Contract. When the invoice is received from the independent contractor fill out an Invoice Payment Form and send both items to Accounts Payable. *Please note: A form W-9 is used for U.S. individuals or companies only. If you are contracting with a foreign individual, additional information is required. Call Accounts Payable for more information. If you have questions regarding this pre-approval process please contact Sharyl Rock, Manager Operations and Commodity Specialist (Procurement) at (585) 475-2759 or Christa Abugasea, Director of Payroll & Accounts Payable Services at (585) 475-2418. Payments to Individuals - Should the Payment Be Made through Payroll or Accounts Payable?